With gold up slightly today in the face of the USD continued strength David Erfle from The Junior Miner Junky says this is a good sign. 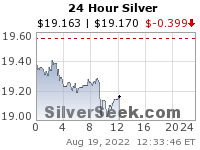 Unfortunately we are not seeing silver share in the rally or stocks on a broad sense. We also discuss the resource released today out of Revival Gold (TSXV: RVG, OTCQB: RVLGF). The stock is getting a buy and continues to outperform. Please send any questions you have for Revival Gold or Novo Resources to my email – Fleck@kereport.com. 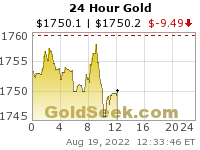 Gold has a tendency to produce short term bounce during the full moon. I think we will see repeat of that and thus a brief rally in PM sector. Full and new moons tend to mark turns in gold in general —and this one looks like it could deliver more than a bounce. The dollar index is just a BAD index, which simply does not reflect true true dollar strength or weakness. Watching the DOW especially. Notice how it will gain 30-40 points on a rebound only to be squashed again by relentless selling. I’m beginning to believe it may close on its lows instead of rebounding like dozens of previous sessions. We’ll see. Another item to note: TVIX is the most active issue on the NASDAQ. Bank of America most active on NYSE, down 5.6%.